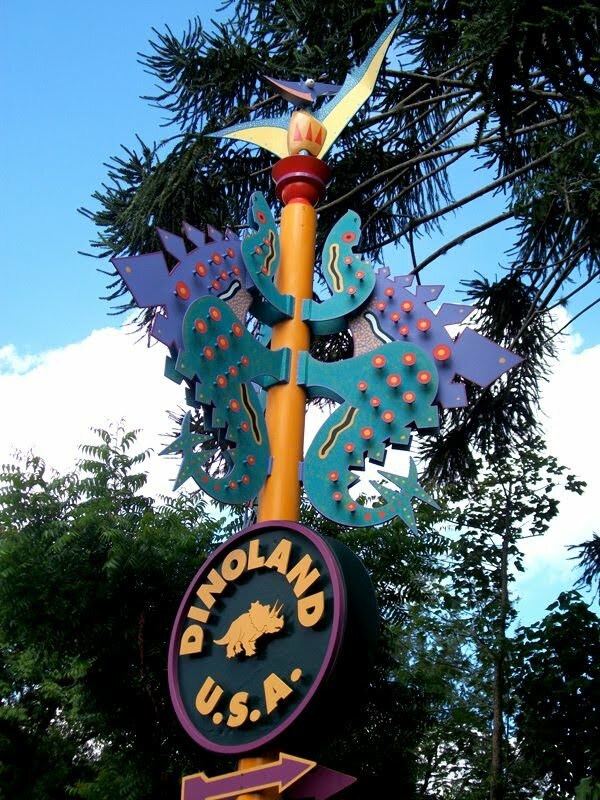 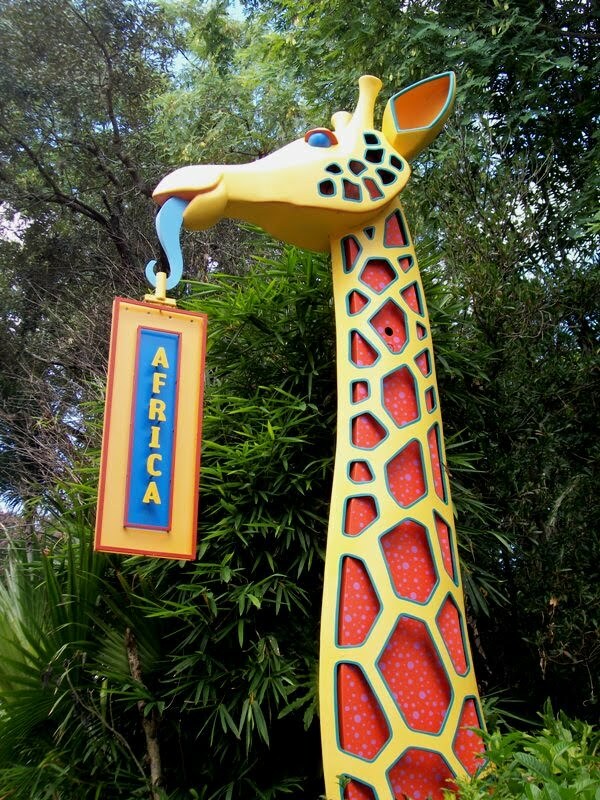 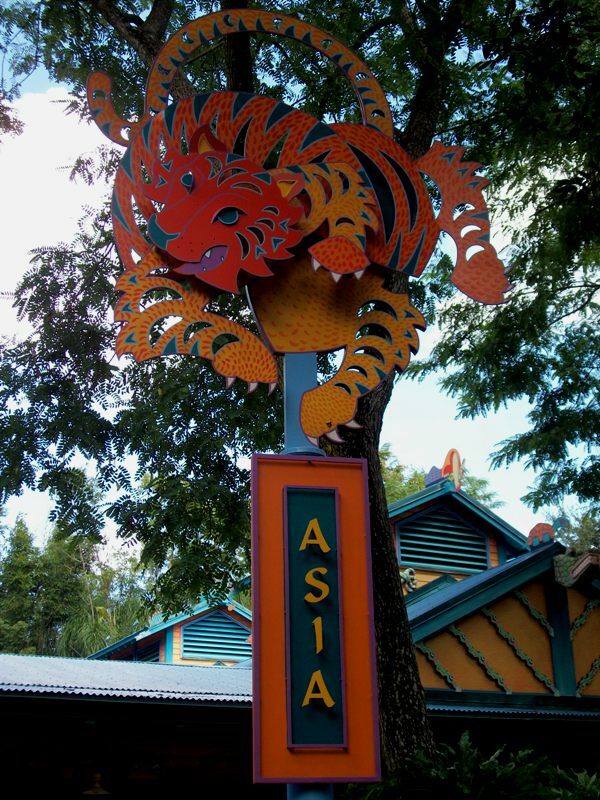 The design of Discovery Island in Disney’s Animal Kingdom comes down to a simple, yet nuanced, idea: the inhabitants of Discovery Island positively adore animals. 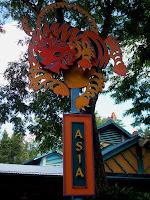 From the manner in which their shops and restaurants are built to honor animals, as well as having been constructed in harmony with the local indigenous wildlife, to the lampposts and animal habitats themselves, everything has been created out of a singular overwhelming joy of animals, even the directional signs. 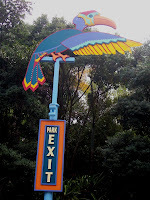 While each land the springs out of a different Discovery Island trail has a sign befitting that land, such as the carved gate for Africa or the hewn log marker of Camp Minnie-Mickey, there are also large, boldly colored signs within the borders of Discovery Island directing guests to new adventures. 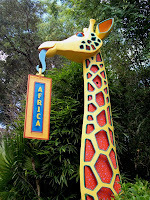 Africa spots an easily identifiable giraffe, just as Asia is denoted with a tiger, and stegosauruses highlight the way to Dinoland U.S.A., there are even a pair of feathered friends the show the way to the exit through the Oasis. 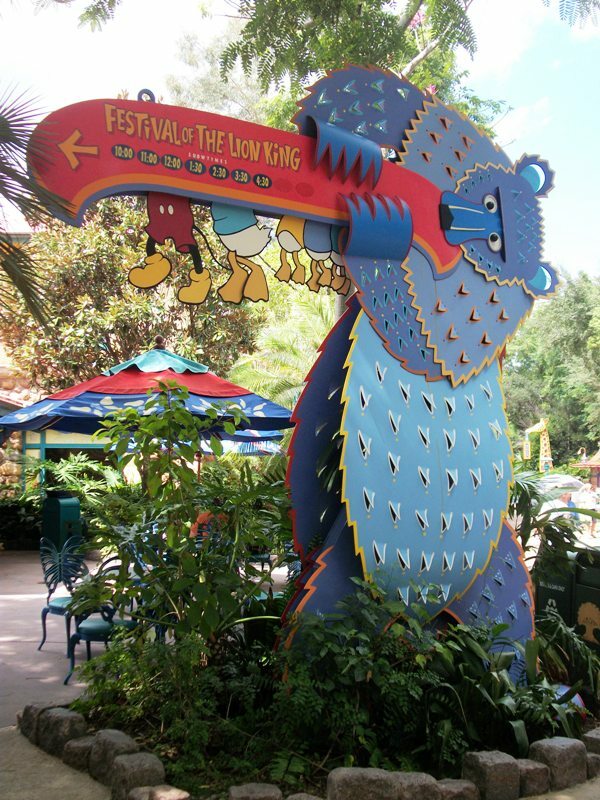 The one tricky sign here is the bear gnawing on a canoe that signals the way towards the singular attraction, Festival of the Lion King, where he once upon a time directed guests towards Camp Minnie-Mickey. 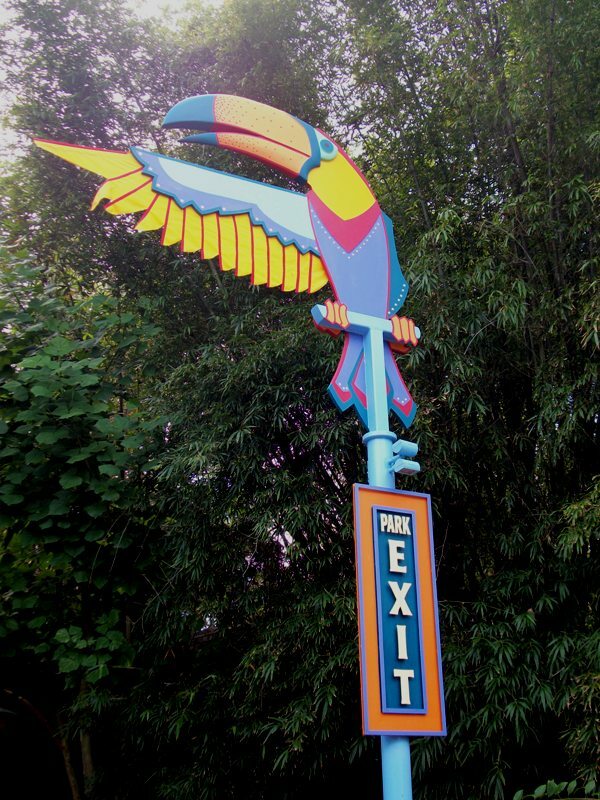 Today, take a tour of the bright, catchy signs that shout about the love of animals all residence of Discovery Island share.